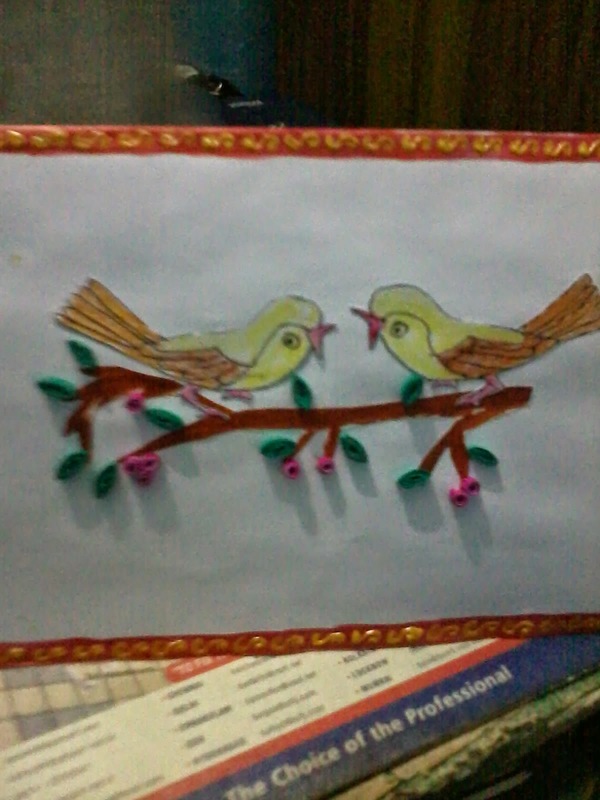 I used pastels to color the bird.The leaves and berries are quilled. For border I used pearl color and 3d cone. Vinitha, this is a great card. 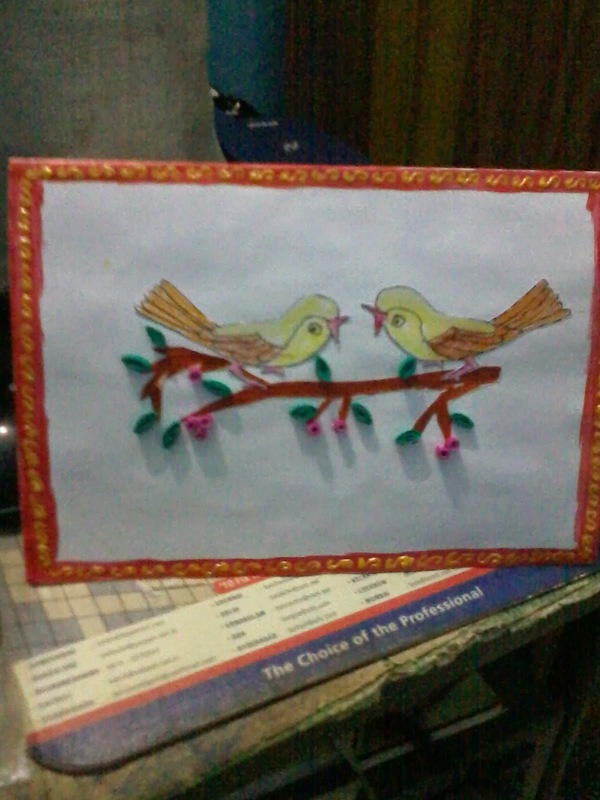 Love the border and your birds look cute on that quilled plant. Thanks for sharing with us at Unstampabelles. So sweet. Thanks for playing along with us at UnstampaBelles. A very pretty card. Thanks for joining us at Unstampabelles.